Get your truck using only your phone! 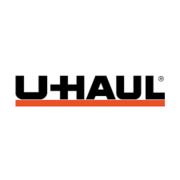 Rate and review U-Haul Moving & Storage of Kankakee in Kankakee, IL, United States! Share your experiences at U-Haul Moving & Storage of Kankakee with your friends or discover more Self Storage in Kankakee, IL, United States. ©2007-2019 Tupalo.com - All Rights Reserved. Designated brands and trademarks are property of their respective owners.